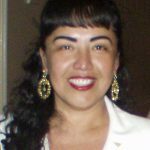 Fanny Miller is the CEO & President of El Latino Newspaper in San Diego, the number 1 Hispanic Newspaper in San Diego and the largest Spanish-language newspaper owned by a Latina in California. El Latino-San Diego creates an unforgettable event for latinas, a day to be pampered, informed and empowered at Celebrando, the largest Latina Conference in Spanish nationwide. Ms. Miller founded El Latino in 1988 to serve the news and information needs of the San Diego Hispanic Community. El Latino has more than 806,000 monthly readers. Under her leadership, El Latino expanded its editorial coverage and grew circulation through all of San Diego County. El Latino is a trusted brand that seeks to contribute to the success and well being of Hispanics in San Diego County. Fanny Miller has been recognized numerous times by the community and national organizations for her achievement in Hispanic publishing and business. 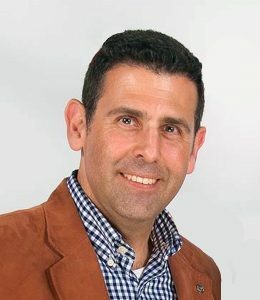 Alvaro Gurdian, Jr. is Vice President of Operations of La Noticia, the leading Spanish-Language Newspaper in North Carolina where he has worked for over ten years. La Noticia covers almost the entire state of North Carolina with four papers: La Noticia Charlotte, La Noticia Raleigh, La Noticia Greensboro and La Noticia Asheville. La Noticia also organizes two major events to serve the Latino community and the community at large: the Latin American Excelente Awards, in Charlotte and Raleigh, and the Latino-American Women’s Conference, in Charlotte, Raleigh and Winston Salem. Alvaro is also Vice-President of La Noticia Foundation, a 501(c)3 organization which is the charitable arm of La Noticia, Inc. La Noticia Foundation was created in 2003 to help outstanding Latino students obtain a college education. It’s mission is to help Latino students with the grades and the desire to go to college but without the financial means to do so. In the last 12 years La Noticia has given scholarships for more than $180,000. Besides his busy business schedule Alvaro finds time to volunteer in the Charlotte community by serving on the Charlotte-Mecklenburg Opportunity Task Force, a group of people working to build economic mobility and access to opportunity to the most needed members of our community. He taught computer classes at The Latin American Coalition, served on the Board of Directors of McColl Center for Visual Arts and he is a former member of the Board of Directors of Loaves & Fishes. 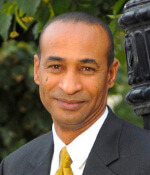 He is a recent graduate of the program Leaders Under 40 of Community Building Initiative and Leadership North Carolina. As well as the recipient of the Hispanic Contractors Association of the Carolinas “2014 Outstanding Community Service Award”. Beto Tenorio was born in Mexico City where he attended and graduated from UNAM (Universidad Autonoma de Mexico) earning a degree in business administration. He came to the U.S. in 1996 to join a family business (Norsan Group) and held different positions within the organization. He had the opportunity to open Norsan Media’s first radio station and newspaper in 2004 in Jacksonville, FL. Now the President of Norsan Media, he oversee the daily operation of radio stations in 5 different markets and 3 Hispanic publications (Hola News) in Charlotte, NC – Greensboro-High Point-Winston Salem, NC – Jacksonville, FL. In his free time he enjoys playing tennis, watching movies and traveling with his wife Tania. He has the privilege of working with different nonprofit organizations including Levine Children Hospital Foundation, American Heart Association and the Red Cross. He is an an active member of the Charlotte Chamber of Commerce as well as the Latin-American Coalition and the Latin American Chamber of Commerce. Jose Zepeda Jr. was born in Guadalajara, Jalisco, Mexico and grew up in Southern California. He attended and graduated from Orange Coast College completing a Digital Media Arts program. Jose joined his family business; El Aviso Magazine; in 2001 and has had different positions in the company during his tenure. Currently he is the IT director and has produced and developed El Aviso Magazine’s Website, blog and Social Media presence as well as creating content for El Aviso Magazine’s YouTube channel and Radio Podcast. In his personal life Jose enjoys golf, photography and travel. Jose has experience working with non-profits such as the American Cancer Society. He is current Board member for the Greater Huntington Park area Chamber of Commerce and the Regional Hispanic Chamber of Commerce. Also currently serves as a Treasurer for the National Hispanic Chamber of Commerce. 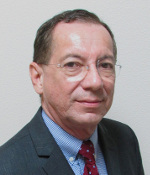 Publisher and founder of HOY en Delaware, the largest and longest running Hispanic publication covering the entire state of Delaware since 1996. Master of Science in Agricultural Economics from West Virginia University and Bachelor’s Degree in Mining Engineering from the Politechnical University of Madrid, Spain. Currently serving as board member of the Joshua M. Freeman Foundation, an arts organization committed to creating opportunities to elevate the human spirit, and 2016 Delaware State Police Honorary Commander. 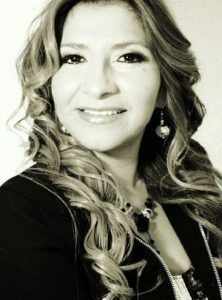 Born in Colombia, Lina M. Gomez currently serves as VP of Operations and CFO of Hispanic Media – a media company that carries the brands of El Sol Latino Newspaper, Latino Connection Series, Latina Lifestyle and Estylo Magazine. Under El Sol Latino Newspaper, which has 25 years in the media industry with offices in Miami and Philadelphia, Lina maintains herself busy traveling the East Coast of the United States, between the markets that the company serves in addition to side trips to visit the multiple offices in Latin America. The parent company, Hispanic Media, has become a recognized voice in the industry and is much more than just a print media company. Their diversified portfolio of communications and 360 degrees initiatives include: planning and producing business conferences, staging product promotions events, online and social media marketing as well as print media campaigns. Hispanic Media`s goal is to unite communities and cities along the East Coast which creates a network of coverage and connections, fortified by My Hispanic Media Solutions, our online portal designed to assist our clients. During her 16 years of experience in the newspaper and the media industry, the company has met some strong challenges and goals, but with Lina`s dedication and perseverance Hispanic Media continues to grow and evolve. 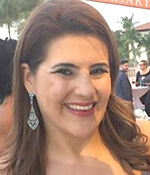 Lina currently resides in Miami, along with her husband and daughter Luna, she strives to find a balance between family and her professional life. Clemente Nicado is a Cuban Journalist with a tremendous passion for journalism that has awarded him and his publication, Negocios Now, with many recognitions over the past five years. He was hired by the Chicago Tribune in 2003 to launch HOY, Chicago’s first daily Hispanic newspaper. Four years later, he founded Nicado Publishing Co. and launched Negocios Now, a national award-winning publication, focused on Hispanic entrepreneurs. 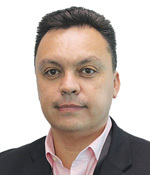 Nicado is a former international correspondent with 25 years of experience in journalism. He has covered a wide range of issues including economy, trade, public safety, elections, Olympic Games summits, finance and immigration. He has been a tireless seeker of style to make his articles more appealing to readers. 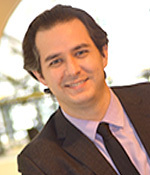 J. Gabriel Esparza is Publisher of Que Onda Magazine. Mr. Esparza has served in this capacity since 1993. As Publisher, Mr. Esparza has worked with many record labels in promoting their artists. He has been involved with the Houston Rockets, Houston Astros, Houston Dynamo, and the MLS on promotional events. Mr. Esparza has also worked with Hispanic vendors in promoting their products. 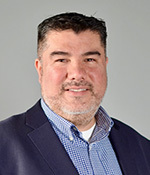 Mr. Esparza was appointed to serve on the Houston Read Commission by Mayor Annise Parker during her term as Mayor in Houston, Texas and has served on the Mayor’s Hispanic Advisory Board during her term. The Hispanic Advisory Board exists to serve as a liaison between the Hispanic community and the Mayor. The Board provides recommendations on policies that will advance the economic, social and political issues of all Hispanics and citizens in the City of Houston. Mr. Esparza has been very active in serving the community during local elections. He has also spoken at numerous events and conferences. He has also been involved with Houston’s transportation system, Metro, in promoting and providing awareness of their rail lines. 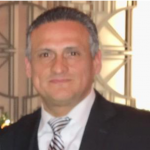 Mr. Esparza has a long standing relationship with the Hispanic community and has over 23 years of experience in the Hispanic Advertising industry. Ms. Lira-Hickerson is the founder and CEO of Nevada Consumer Advocates. She was named the City of Las Vegas 2013 Citizen of the Month in recognition of her work with the Las Vegas Metro Police Dept.’s Hispanic American Resource Team (HART) Program for helping set up a Gang prevention program for Youth and a number of other efforts to assist the Latino Community. She is a member graduated from the Las Vegas Metro Police Dept. and North Las Vegas Metro Police Dept. Ms. Lira- Hickerson holds a bachelor’s degree in Marketing and a Master’s degree in International Commerce from Instituto Politécnico Nacional in Mexico City, Mexico. Ms. Lira-Hickerson is a former Southern Nevada Chairwoman for the Conference Mujeres y Dinero- Women’s Money, a National non-profit organization who’s mission is Financial Education. She was featured in the Money Magazine worldwide circulation named as one of the 50 Heroes 50 States article in July 2014 and has been an FBI Ambassador since 2014. 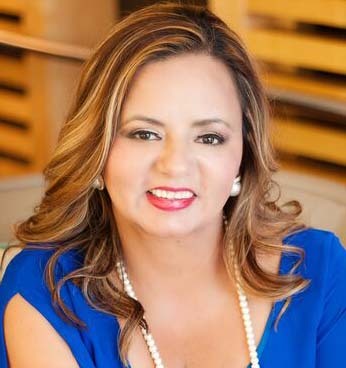 Currently she is Founder and Publisher of the Life Affairs Publications Office located in Las Vegas Nevada and is impacting the bilingual communities as LatinXs Progress Readers, providing education, life style, and social progress as main topics. The goal is to have a positive impact for the readers and partners through content that can help transform for a better lifestyle. Rossana Drumond is a Peruvian journalist. For 12 years she has been the publisher of Alianza Metropolitan News and La Movida Magazine in San Jose, California. Under her editorial direction, her newspaper and magazine have received more than 48 awards from the NAHP; New America Media and GLADD. She produces a newspaper and magazine that are interesting, relevant, credible and current. As a result, they have maintained and increased readers. In 2017, Rossana was awarded “Publisher of the Year” from the NAHP. In 2016, Rossana Drumond received the “Business Person of the Year” award from the Hispanic Chamber of Commerce (Agrupación de Comerciantes del Norte de California). The recognition from the Hispanic Chamber is for her “Hard Work, Enthusiasm, Commitment to Excellence and for being a Role Model for Hispanic Businesses.” In her career as a journalist, Rossana won first place in “Outstanding Multiple Article Series: Teacher of the Year” from NAHP and second place for her political editorial titled, “Ignorancia o Desconocimiento.” Likewise, she won the Bronze award for the political article “La gran deuda del gobierno mexicano”, “The Great Debt of the Mexican Government” and 2017: “¡Vamos a Votar!” among other journalism awards. Rossana is the founder and owner of Alianza Media Group, a company that produces and organizes community festivals in the Bay Area. Thousands of Hispanic consumers attend every year. Alianza Group creates unique opportunities for clients and has staff with skills in sales, writing, graphics, marketing and technology. While in his native Lima, Peru. Giancarlo was a publishing partner of several publications such as Millonarios, Tubos, & Ademas. With over 20 years of experience in the advertising field and publishing industry, in the local and national market his experience has allowed him to successfully thrive in a myriad of different markets and conditions. During his tenure at Harte-Hanks/ PennySaver, Giancarlo was awarded numerous times Sales Person of the Year award. In 2015 Giancarlo joined the ranks of EC Hispanic Media/ El Clasificado under the mentorship of Martha de la Torre. At EC Hispanic Media Giancarlo oversees the Digital Sales Department. 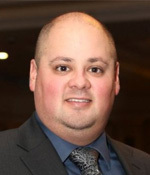 Giancarlo’s roots have given him the ability to understand the Hispanic market in the U.S. His background in Digital Marketing has given him another layer to help Hispanic Business owners transition and grow in the U.S. digital economy. Giancarlo resides in the quiet community of Moorpark, California along with his wife Denise and 2 children, Kane and Katherine. Collaborates with Mexico and U. S. radio stations and television channels with comments and analysis. He has been Vice President (2 terms), Regional Director and President of NAHP. He is NAHP Chairman of International Relations Committee and McAllen Chamber of Commerce International Relations Committee Chairman.